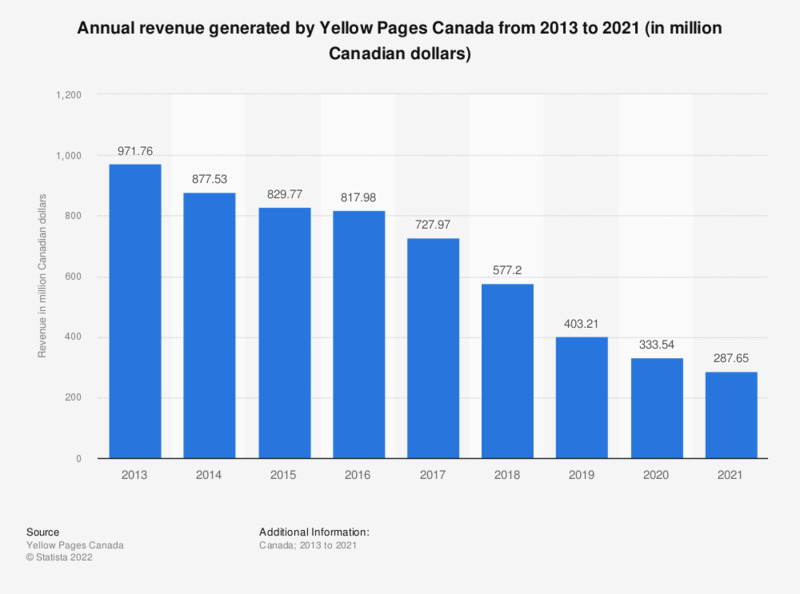 The statistic presents information on the annual revenue generated by Yellow Pages Canada from 2013 to 2018. In 2018, the revenue amounted to 577.2 million Canadian dollars, down from 727.9 million a year earlier. Figure for periods prior to 2015 come from a earlier Yellow Pages Canada financial release.